Sadly, this house burned down in 1977. From a former resident: Built for Charles S Warburton of Massachusetts Mutual Life Insurance Co. in 1902. The architect was G Wood Taylor. It did have a granite foundation and porch. The granite came from the Flynt Granite Company in Monson Mass. (who supplied the granite for the Springfield Court House). In my research on the house I found that it took them two years to build the house from start to finish, because of all the stone work. Some of the granite is still buried on the property because it was to heavy and costly to move. 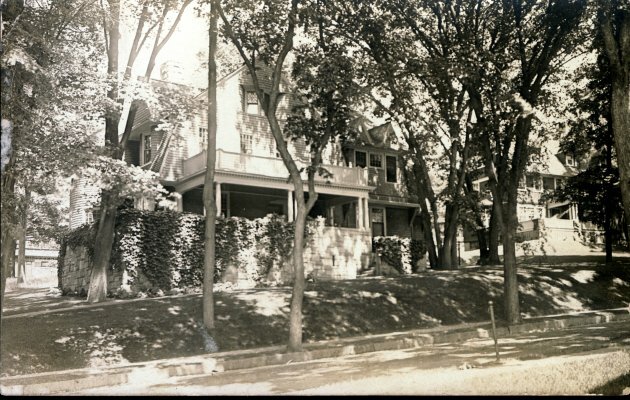 There is an article about the house in the Springfield Homestead dated Feb 1902."